This isn’t another post telling you that image alt tags and site speed is important for Shopify SEO. We’re digging deep into the technical details of Shopify SEO to explore how to put your store into a position to compete with eCommerce SEO behemoths like Macy’s, Nordstrom, Ebay, Amazon, and your competition. Please review your own business goals carefully before applying any of these tactics below to your own SEO strategy. One SEO size does not fill all. I like to look at eCommerce trends, what is working/not working (i.e. data! ), and think creatively with how to apply to our client’s solutions based on their goals…while sticking to best practices as much as possible 🙂 . In the world of SEO experts, I consider someone like Brian Dean one of the best. I strongly encourage you to read up on his guides and tactics for offsite and onsite SEO as well. Long tail SEO is the act of optimizing your website for keyword searches that are more than 3 total words in length. Example: “Nike men’s shirts size small” or “Apple 8x iPhone cases”. These are generally non-brand terms and in many cases convert at a higher rate. Consider the growth of voice search and you can see why ranking for these terms is important. 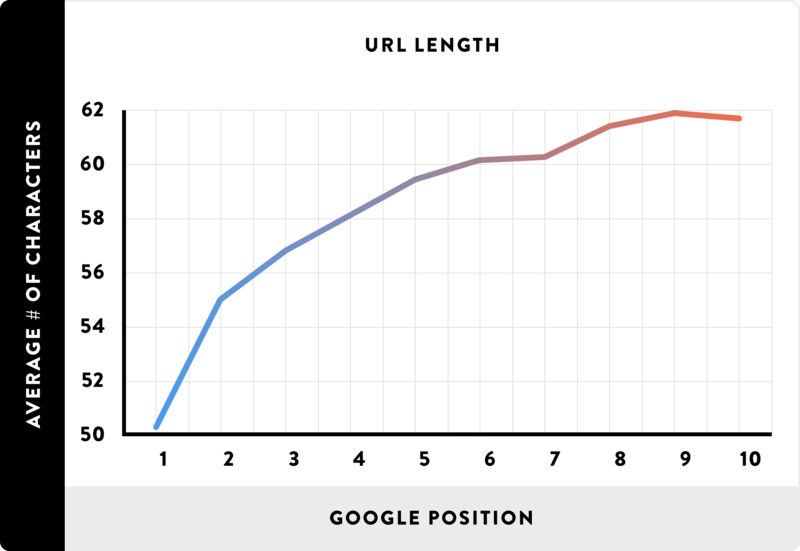 If you haven’t read my previous post on long tail SEO for eCommerce take a look as it goes into a bit more detail on head vs chunky middle vs long tail search queries. Keep reading below where I dig into real life category aka collection page examples that you can apply to your own store. I analyzed several sites from Magento and Shopify, from Jan – May 2018, year over year to see how search query differences are changing. It’s easy to imagine this continuing to grow as we get more comfortable using our voice for searches through our phones. Here’s another example from one of our Shopify Plus clients. While on Magento they did not have SEO friendly filters on category pages to compete for long tail searches but during their transition we put a big emphasis on trying to rank for long tail queries. I’ve set a filter on this graph in Google Search Console with page URL containing “size_” which would catch all pages where the size filter was applied. You can see the growth! Be sure you understand how you are trending in non-brand keywords. This is where your category and product (i.e. long tail) success lives. 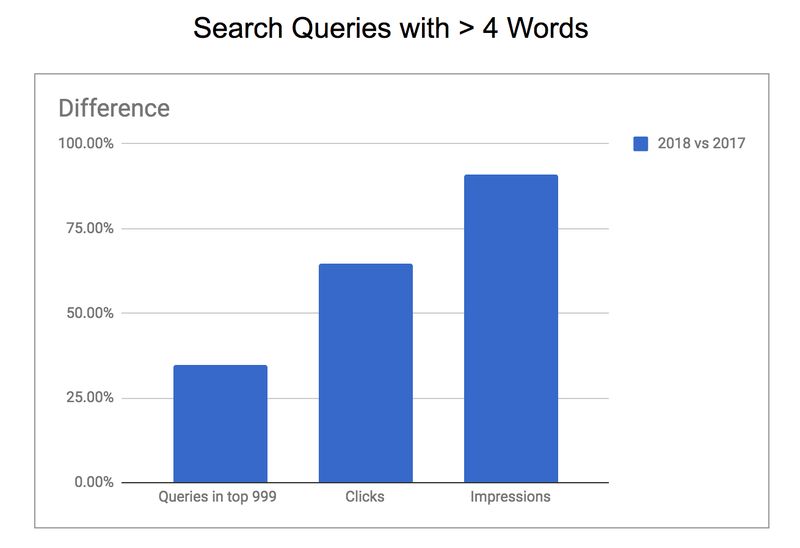 In this example my non-brand clicks account for ~ 30% (324K out of 1.07 million) of all clicks from Google search. Don’t get me wrong – brand growth is great and extremely important! But this can be attributed to other marketing channel efforts and less from your onsite technical SEO. As I mentioned in my lessons learned article migrating from Magento to Shopify, Shopify’s catalog architecture is extremely flat. Not in a bad way, just a flat way. Or a different combination of the above. Where this can be problematic is when you have collections that you want as filters and vice versa. 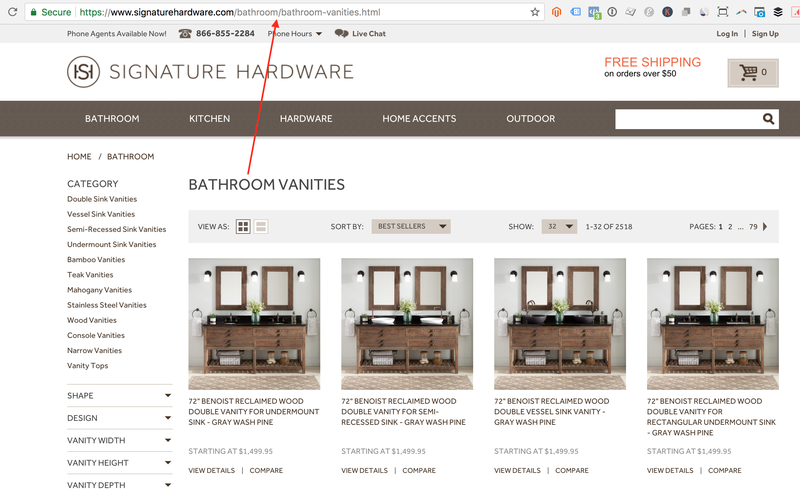 The dreaded duplicate content issue that so regularly plagues eCommerce. They don’t know which version(s) to include/exclude from their indices. They don’t know which version(s) to rank for query results. The net result? A piece of content doesn’t achieve the search visibility it otherwise would. Lets look at an example from the Shopify Plus case studies page using a recent Magento => Shopify migrant: Peepers. Peepers has a large collection of affordable readers and sunglasses for men and women. Their navigation UX is fairly normal where it allows users multiple ways to dig into respective product categories. *Canonical links tells search engines that a given page should be treated as though it were a copy of a specified URL, and all of the links, content metrics, and “ranking power” that search engines apply to this page should actually be credited to the specified canonical URL. In my experience when I’ve seen this, it usually results in a fairly significant drop (20-30%) in average position for targeted keywords. This could mean page 1 ranking to page 2 which is a huge hit in traffic. Easy enough to fix this right? You’ll just put a rule in place to noindex all of your collection pages that have filters applied like this so those pesky “tagged” URLs don’t end up in search??! If you blanket this rule across all collection pages then you lose out on the opportunity to win in long tail searches like “collection name & size” or “collection name & material”, etc, assuming you don’t have the size or material set up as unique collections. This isn’t a Peepers problem per se either. This is pretty typical for many sites…proactively managing onsite SEO is not easy and I’ve definitely fallen behind on this before as well! There are several ways to attack this so you’ll need to do some research and thinking with your team on how to handle. DO NOT JUST JUMP IN AND START MAKING CHANGES!! Lets say your store sells handbags. This last option is a classic long tail query that fits a collection page, but not quite a product page. Then you are very unlikely to rank for these long tail terms. You can see the big sites ranking – Macy’s, Nordstrom, TJ, Amazon, Target, etc which is expected for a query like this. But smaller brands can still be found on subsequent pages. 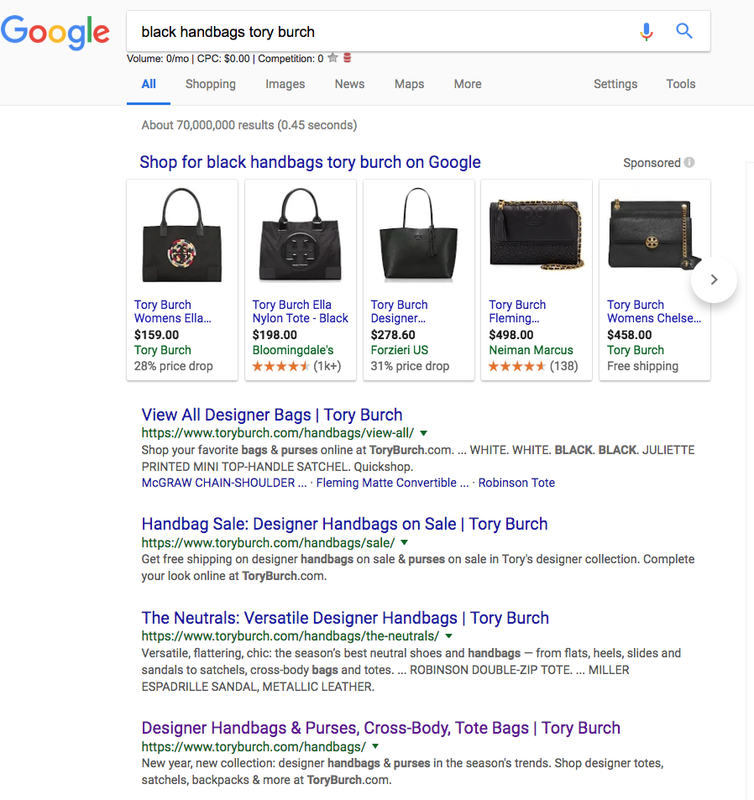 Now we’ll look at a well known handbags brand – Tory Burch (they are on Demandware, but the same example can be seen on all platforms..Shopify included). When I add their brand to the end of my query – I imagine the results are less than desirable (for them). 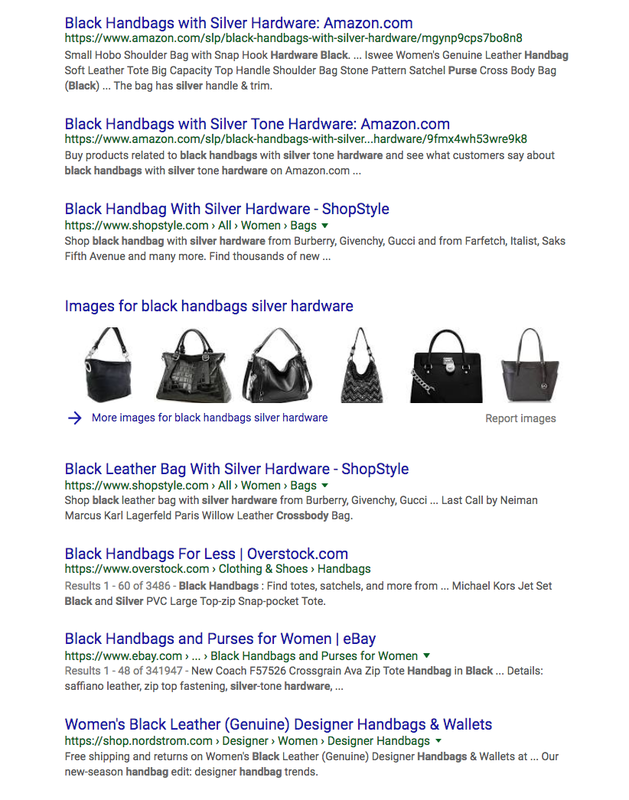 The /sale, /view-all, and /handbags categories are likely competing against one another let alone trying to rank for “black handbags”. 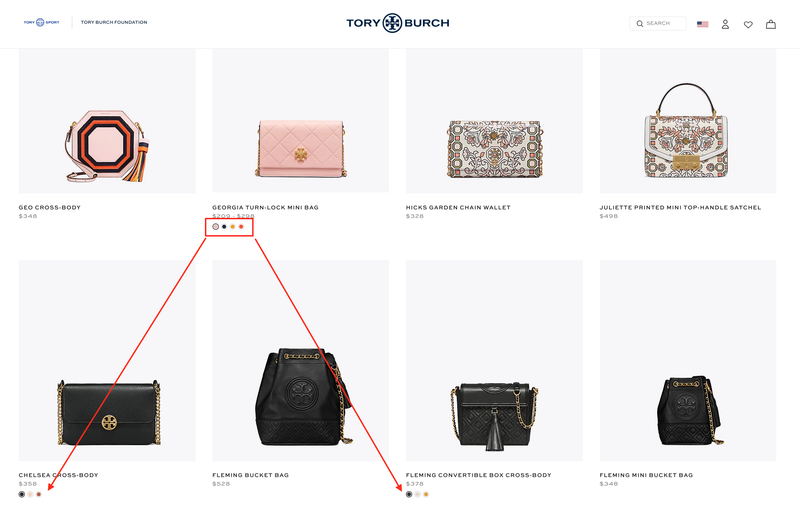 Tory Burch doesn’t show up until page 5…well below sites that have significantly less traffic. 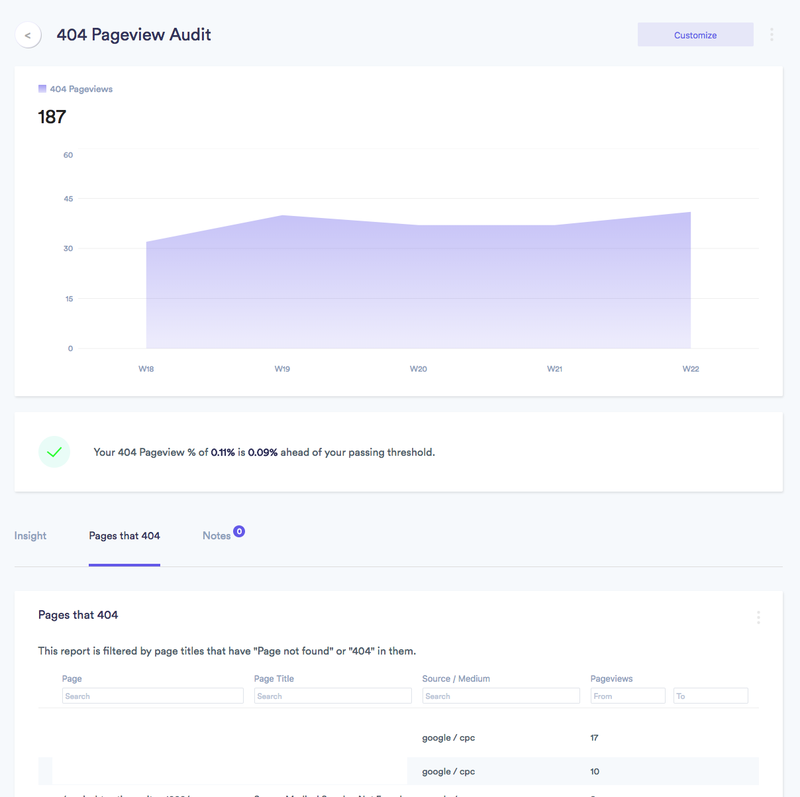 Their competitor, Rebecca Minkoff who is on Shopify Plus (who I had the distinct pleasure working with for 3+ years while on Magento 🙂 ) are between page 3-4. Try this example out for your own industry/niche – what are you seeing your competition rank for? How can you strategize this for your own store? Sticking with Tory Burch example – they don’t sell just handbags but also clothing, swimwear, accessories, etc. If their team decided they wanted to focus on ranking for the color attribute in addition to categories – i.e. “black totes” or “black dresses”. 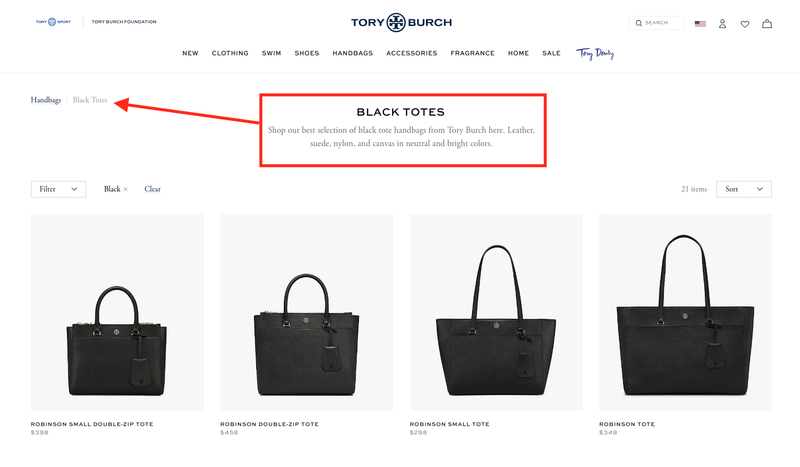 Ensure we don’t have any one-off collections created like “Black Totes” in addition to the standard collection page like “Totes”. We’d have this (not pictured are the URL, canonical URL, and meta description). Your implementation for this will depend on the size of your total catalog. If it’s extremely small then you might be able to get away with doing this within your theme (not recommended). In the Magento world this could be done within category layout XML however within Shopify you’ll need to work with your own team (or us – contact us here 🙂 ) to implement this properly. This basically says – only add the “tagged with – color black” into the title when the color black filter is selected. Otherwise keep the page title as is without this tagged data. If you are going to go this direction then go the entire way – don’t just do the title tag and meta description and think you’ll get the results you want. There’s a pretty solid app called SEO Manager that allows you to customize title and description by filter by collection within the admin. You can also choose to noindex specific filters only as well. This app can give you a great head start. Also keep in mind that Shopify has a directive in all robots.txt files that prevents indexing of pages with + included within the URL. Unfortunately you can’t modify this robots.txt file so you’ll need to work around this (the + is usually seen when applying multiple filters). Create unique categories for all of your long tail collection page wishes. So “Totes” and “Black Totes”, “Red Totes”, etc would all be their own collection pages so you can control all of your meta data, h1, and URLs. 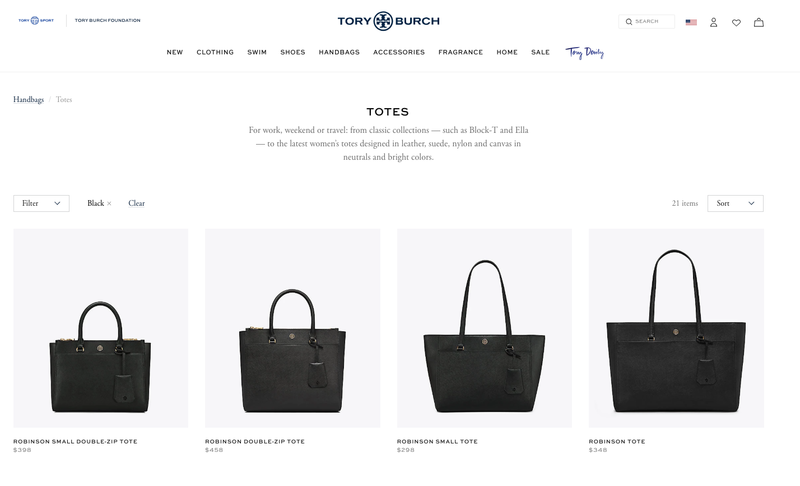 Example: /collections/black-totes would be the URL of the black totes collection page. Create a custom faceted navigation that is not filters, but it’s instead links to collection pages grouped together. Out of all of these # 1 is the easiest but in my opinion # 2 would provide the best UX for a user while also protecting your onsite SEO. As you can see – a lot to consider. 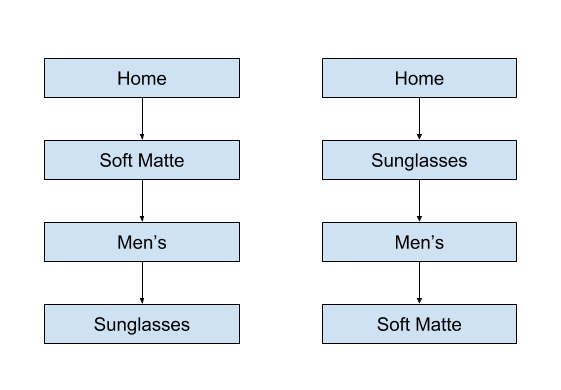 Before deciding which is better for you, I suggest reading the product page structure next since it’s closely related. Are you creative juices flowing yet with regards to how to apply to your own collection? If you’re researching Shopify or already on Shopify then you’re likely familiar with variants which help group similar products together (i.e. size and color for shirts). Do you want to merchandise your collection pages showcasing your depth of colors, pattern, etc (“breaking our your styles”)? How do your customers shop – do you have a wide variety of styles that differ in structure, etc? 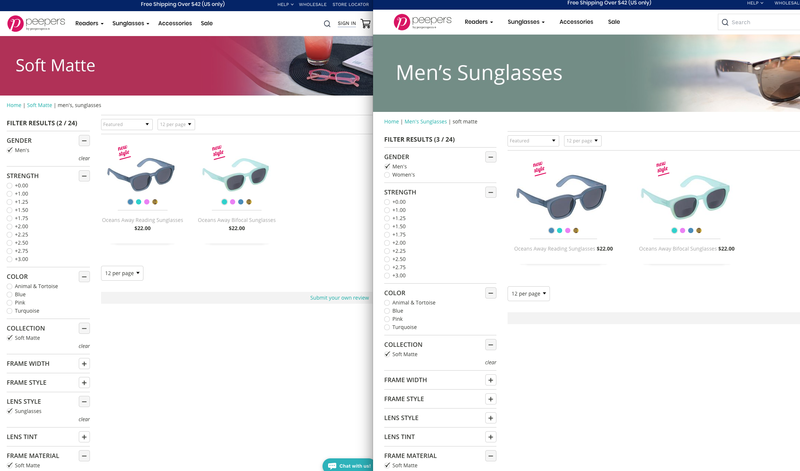 Once a user clicks on a product they are taken to a standalone product page without a color, material, hardware variation selection. So in this example ^ users can’t access the individual color-specific pages of the bag. 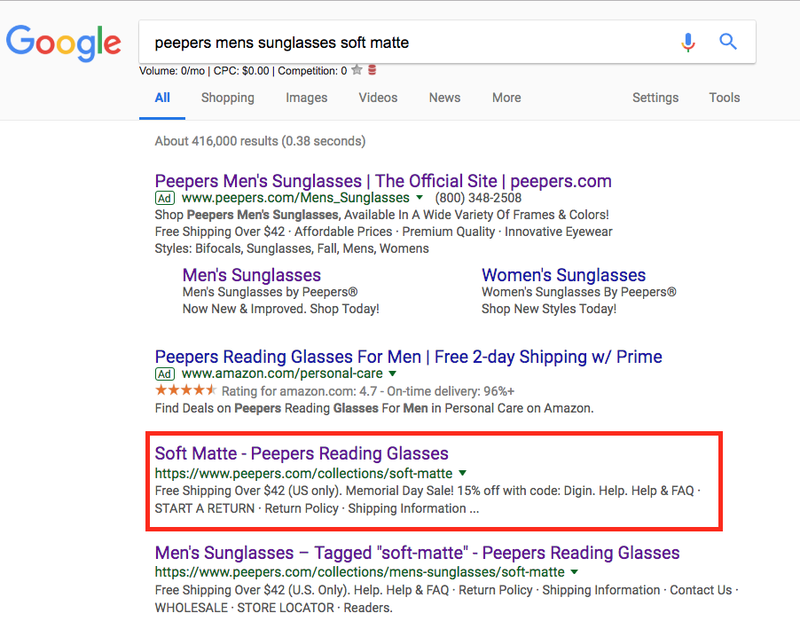 This is certainly a brand by brand basis decision and requires intimate knowledge of the experience your shoppers prefer (looking at what converts!) as well as your long term Shopify SEO goals. If you are collecting reviews, are you able to capture enough to cover all of your individual products to ensure they have a good amount of reviews (many a/b tests show a lack of reviews or even a few negative reviews can hurt conversions)? If you’re using a UGC solution like Yotpo or similar service that allows users to upload pictures then this may also play into your decision. Use modifiers like “Buy” or “Shop” or key product attributes (size, color etc) along with click magnet words like “Lowest Price”, “Price Matching”, or “x% off”. 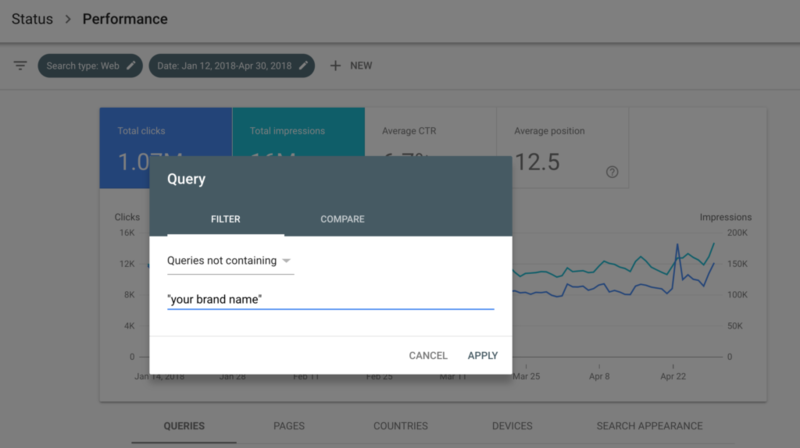 Monitor your performance via position metrics within search console. Include differentiators like Free Shipping, Free Returns, Price Matching, Overnight Delivery etc to help maximize clicks. Don’t just copy your manufacturers description (if you’re a reseller). Otherwise how will you stand out vs competitors that are doing this as well? If you’re going through the effort of capturing product reviews then ensure they are SEO friendly! Your ratings should have structured data in place which you can test here. The best out there in my opinion is Yotpo but there are other alternatives like Stamped.io that plugs into the native Shopify Reviews app. Use your keywords within your product image names as well. And ensure you’re setting alt tags on these images when importing or uploading to Shopify. Your H1 should be your product name 95% of the time with H2s potentially being subheadlines of your product page, if only to keep your page well structured. There’s debate that these don’t matter nearly as much anymore but I still stick to the old best practices for these. The only thing you need to do is update this setting in search console. I show how to manage this along with other critical launch SEO processes here. Your store is already loading through a CDN via Shopify which takes a huge lift off your shoulders. Code profiling/optimization: a developer’s dream! Yes, these are important. Set these when importing products, on individual products, or when setting images within your theme. Internal page errors usually result from bad/old links which cause 404 errors for your users. 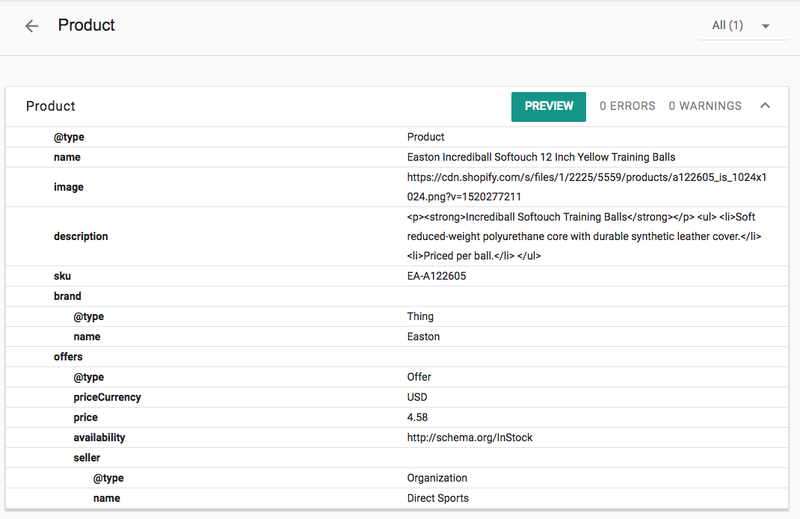 If you are migrating then this is especially important to monitor if you or your team is utilizing bulk migration tools that move things like product descriptions, etc. For example: You might have embedded links or images within your data that is using your old URL structure and if not updated will result in 404s. This section won’t go into complete detail on how to manage international SEO for your business (it needs a complete post on it’s own). But if you are international or considering international be sure you have a plan in place to manage for all of your stores and translations. This is a must. If you have multiple sites like www.yoursite.com and fr.yoursite.com or www.yoursite.fr (where fr = France) then you need to have multiple properties within search console. Go to Google Search Console > Add New Property > add your additional stores. 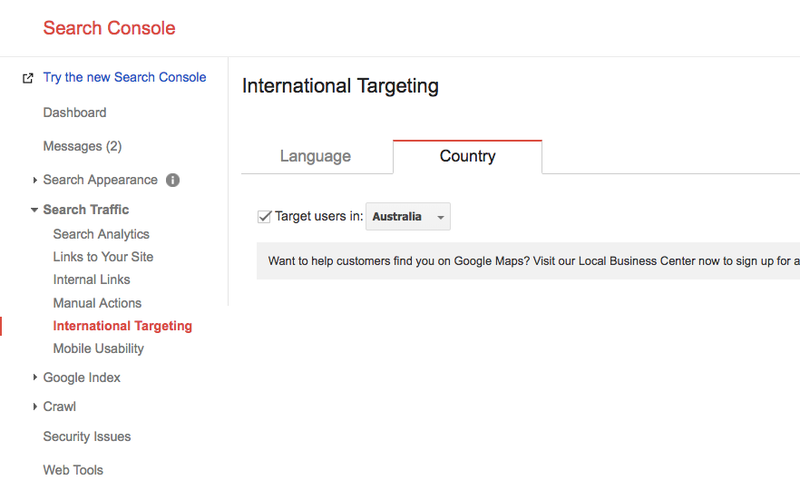 This is done via hreflang tags to help ensure Google displays the most relevant content for users depending on their location. 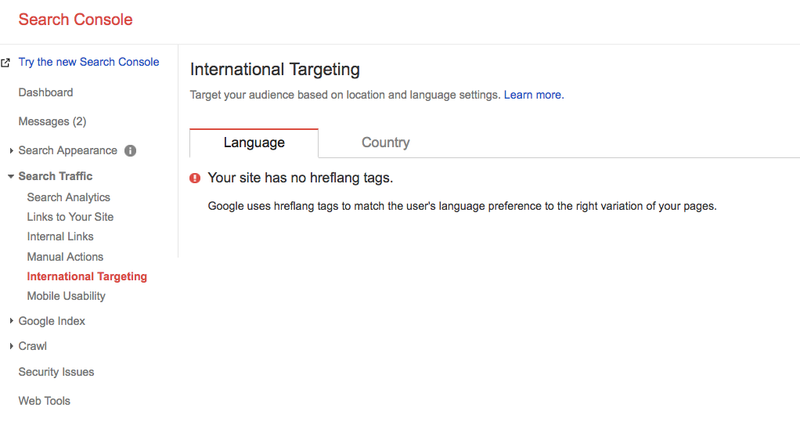 You can generate your own hreflang tags with this free tool by plugging in your URLs. 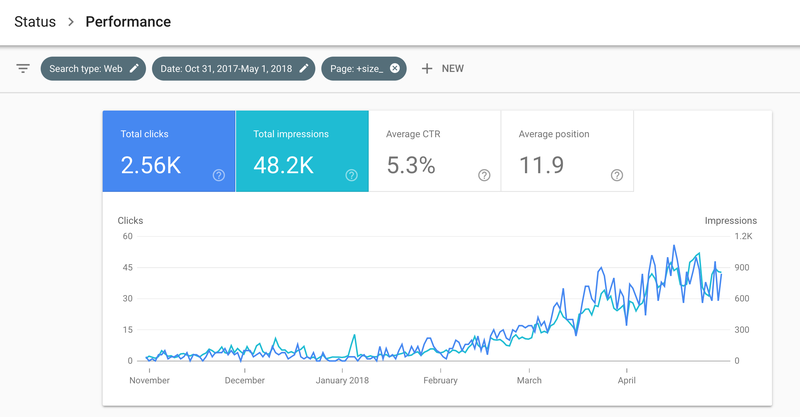 As you can see – there is a lot to consider when it comes to Shopify SEO and thinking through how you want your content structured. 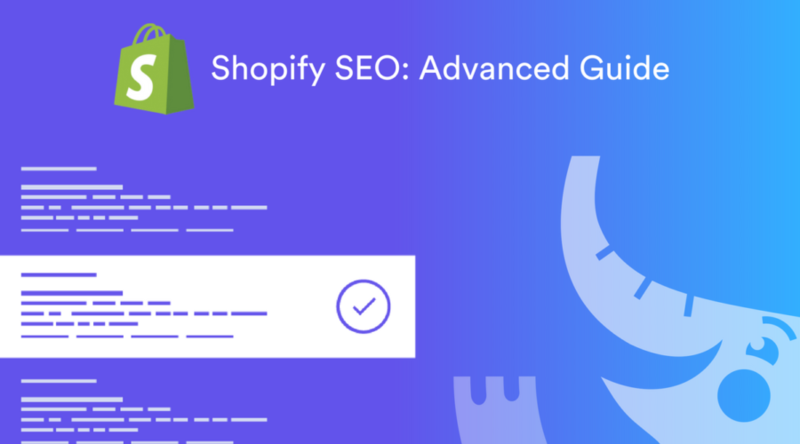 When comparing to other platforms, Shopify automates many of the little SEO tasks that can be forgotten like up to date sitemaps, robots.txt files, structured data, etc. But it’s not just a flip of the switch to guarantee organic growth for your store. Strategic thinking and planning is a must. Do you need help with your own migration or future organic marketing strategy? Contact us and we’ll package a solution together for you. Join our email where we share our best marketing and analytics tips for Shopify. Great content Brad! I have a question about Framework Option # 2. If I create separate collections for all of my “filters” I still need to create filters and then use non-canonical links on the filters right? Hi Bart – thank you for the note! If you duplicate your collections to match filters, then yes you will want to be sure your filtered pages (that match your one-off collections) are set to noindex AND canonical back to your collection page. Looking for quick insights to apply to your conversion optimization strategy? Try these 5 reports from Google Analytics and optimize away!